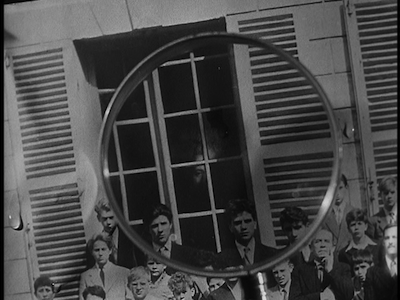 I first saw Henri-Georges Clouzot's 1955 thriller Diabolique by accident. It must have been 1995 or thereabouts, back when I was editing a comic book called Triple-X . The creators, Arnold and Jacob Pander, kept referencing a movie called Diabolique as being an inspiration for the Eurotrash look of their futuristic revolutionaries. Intrigued, I went out and rented a copy of the film. When I was done, I was kind of confused. What did a black-and-white shocker about two women murdering the man who done them wrong have to do with hooded tricksters and underground newspapers? Well, nothing, as it turns out. I had rented the wrong movie. They meant Danger: Diabolik , which my neighborhood Hollywood Video didn't have. Lucky for me, though, because I might not have otherwise found this Diabolique, or when I had, I might not have been able to go into it as a blank slate. It's a movie that is full of surprises, delivering both emotional suckerpunches and truly gruesome cinematic scares. If you haven't seen it and know nothing more about it, I kind of want to dissuade you from reading further. Just go get it. You'll thank me later. Diabolique is one hell of a genre picture, one that plays with the twisty conventions of a Hitchcock movie, wringing all of the horror out of the scandalous scenario it possibly can, while also building a movie full of pro-women proclamations and enough double-crosses to compete with the best film noir. The director's wife Vera Clouzot stars in Diabolique as Christina Delassalle, a language teacher whose dowery subsidizes the school run by her no-good husband Michel (Paul Meurisse). 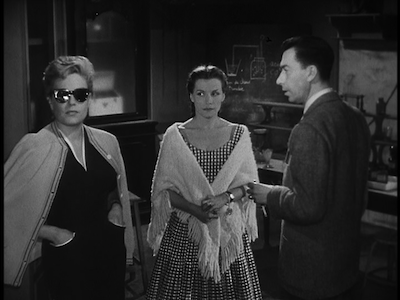 Michel is cheating on Christina with another teacher, the cynical blonde Nicole (Simone Signoret). The two women, the wife and the mistress, work side by side, giving them opportunity to compare notes. Both have plenty of reason to hate Michel. At the start of Diabolique, Nicole has to wear dark sunglasses because Michel has been smacking her around and she has a black eye. Oh, and did I mention that Christina is sickly with a heart condition? Yeah, if Michel survives this movie, he's got one hell of a career in politics ahead of him. And surviving this movie will be his challenge. The ladies are looking to take the opportunity of a three-day weekend to enact a murder plot and take care of Michel once and for all. That's right, the sisters are going to do it for themselves, setting aside their differences to take care of the one thing that plagues them both. Their scheme involves poisoning and drowning--the rest, well, keep it schtum. The ladies play to type, with Christina being nervous and increasingly unhinged and Nicole being more calculating and determined. Both are excellent and they play off each other well, particularly as Christina's nerves start to affect Nicole. Simone Signoret, we know, is good at being in charge, but she's also excellent at falling apart. On the same track, Paul Meurisse plays a real convincing creep. He is sneering and snide and just nasty enough that he never really crosses over into caricature; Michel ends up being an honest-to-goodness villain. You'll be rooting for him to get what's coming his way. Diabolique's after-plot involves transporting the body for discovery in a place far from where the ladies have established their alibi--which is when things go weird. Clouzot employs every trick in the book to give his gals a fright. We even tread into some territory straight out of ghost stories. Whose face is that in the window in the class picture? Could it be...? Diabolique is as tightly wound a film as you're likely to find. It's a remarkable thing watching all the pieces move into place, like observing the interior of a well-designed clock. Gears turn, springs stretch and contract, every element does its part to ring the hour. 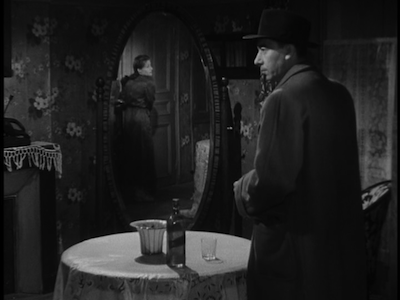 Clouzot shot on what looks like real sets, choosing interiors with lots of doors and intersecting corridors. He also puts silence to use, letting moments linger, the ambient noise of the surroundings adding to the suspense. The director never tips his hand to what is really going on, there is no winking to the audience, it all comes across with a very straight face. Just try not to get sucked in. Go on, try! 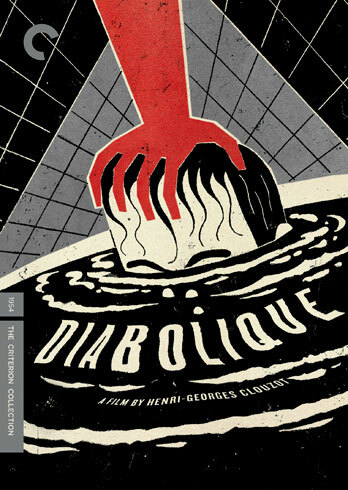 Diabolique was an early entry in the Criterion Collection, and the thirteen-year-old DVD was more than ready for an upgrade. The new high-definition transfer on the Blu-Ray is flat-out gorgeous. The overall image quality is crystal clear, with lovely renderings of black, white, and all the grays in between. Digital noise and scratches have been erased, making for a spotless viewing experience. No distractions here, you can just get caught up in the story, no tsk tsking at DVD glitches. Amongst the trio of new extras on this disc, which consist mostly of critical commentary by admirers of the film, is an introduction to Diabolique by director Serge Bromberg. Bromberg is the director of the full-length documentary Henri-Georges Clouzot's Inferno, which I was also lucky enough to review on Blu-Ray recently. Though Bromberg's film doesn't dig too deep into Clouzot's earlier filmography, one can easily see how obsession and an attention to detail led to the influential director making such exacting motion pictures. L'enfer, the unfinished film unearthed in Henri-Georges Clouzot's Inferno, was a movie that tried to bring jealousy to life. It starred Romy Schneider as the object of these delusions, and it's a shame no one ever cast her and Simone Signoret to play daughter and mother. I can't be the only one to think they look alike! Special note should be made of the new packaging of Diabolique. 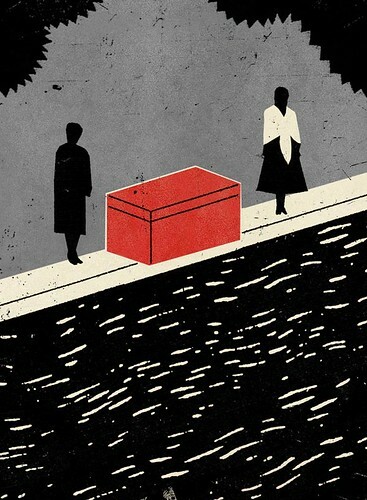 Criterion contracted David Plunkett to provide the awesome illustrations for the cover of the case and also the cover of the interior booklet. The images cross simulated woodcut techniques with classic poster design to create pulpy illos that would be at home on any spinner rack selling dime novels. Check out more from Plunkett and Spur Design at their website. Screen captures are from the DVD, not the Blu-Ray.